MUNICH -- BMW will stick to its profit and sales goals despite economic uncertainty, the automaker's financial chief told Automotive News Europe. "All in all, we are optimistic but see certain risks and expect growing volatility," BMW Chief Financial Officer Friedrich Eichiner said in an interview. Eichiner said the high sovereign debt of some countries and the possibility that higher taxes and rising inflation will hit consumer spending could lead to more volatile trends. "The global stock exchanges are already exhibiting this. At the moment, we are seeing a number of difficult situations, not just in Greece but in Spain and Italy as well," he said. 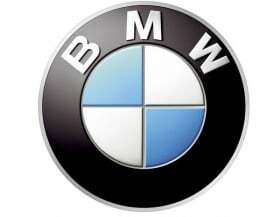 Eichiner said BMW expects its global new-car sales to rise 10 percent to above 1.6 million this year "and we are striving for an EBIT margin of more than 10 percent in the automotive segment for 2011." BMW wants to maintain profitability between 8 percent to 10 percent in the coming years despite investing heavily in new products, technologies and powertrains. Said Eichiner: "The share of r&d in 2011 will be within the target corridor of 5 percent to 5.5 percent, thanks to efficient development processes and the strong growth we expect in revenue. In addition, the share of investment will be below 7 percent of revenue by the end of the year due to rising revenues." Eichiner expects the cost of carbon fiber, a key material in the company's new electric cars, to fall sharply. "In the course of the product life cycle, we want to drive the cost of carbon to the level of aluminum. Naturally, volumes are the key here," he said. Eichiner criticized Volkswagen AG's purchase of shares in the German carbon fiber manufacturer SGL Group, in which BMW major shareholder Susanne Klatten owns a stake. "We prefer independent suppliers," he said, adding that Germany automakers generally "have the good sense not to be directly involved with suppliers" because their involvement hinders suppliers' innovative power and the quick attainment of economies of scale.